← It’s Renfrew for Grade 1! If you’re like me and your taxes are filed, you are no doubt doing the happy dance this weekend. True, the deadline isn’t until April 30, but wouldn’t you rather “get ‘er done” early and then toast your efforts with an Income Tax cocktail*? Here’s a cocktail you’ll want to spend your return on. Yes, such a drink really exists. What’s even more intriguing? It’s a cocktail that’s been around for a century. I can see why: it’s basically a martini sweetened by a bit of orange juice, and spiced with a couple dashes of Angostura bitters. It’s strong, yes, but that’s a good thing whether you’re celebrating a big return, or drowning your sorrows over all the money you owe the Feds. So drink up! Shake ingredients with ice then strain into a coupe glass. Garnish with an orange curl. *I originally blogged this drink last April, but it’s so good (and timely) I wanted to share it again. Enjoy! 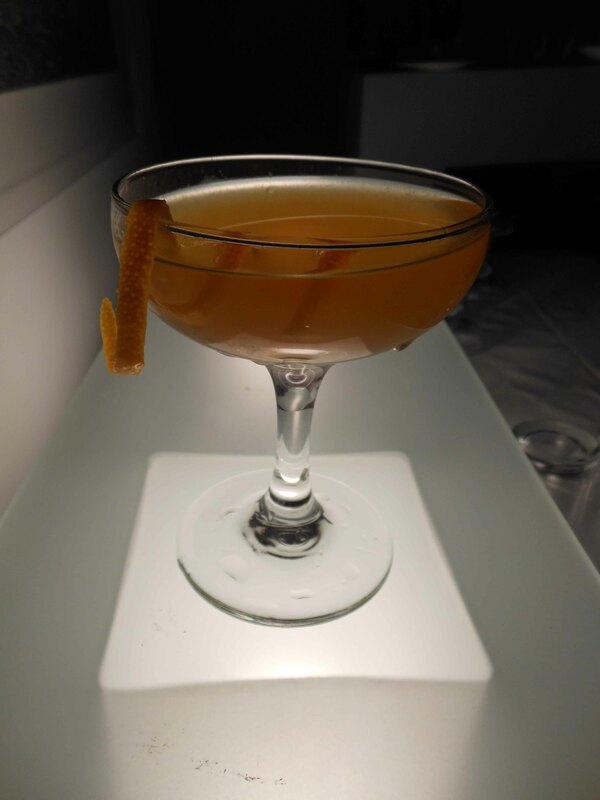 This entry was posted in Cocktails and tagged Drink of the Week, gin cocktails, Income Tax cocktail recipe. Bookmark the permalink.